Desktop viewing light takes the guesswork out of color matching. 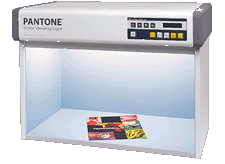 PANTONE® Color Viewing Light Model PVL-511 offers you five different lighting environments. See how colors will look under fluorescent, incandescent, UV and two daylight settings. With the valuable assistance of skilled team of professionals, we are engaged in offering an extensive range of high quality Colors Panel Light. Leveraging to our industrial experience, we offer a bulk array of CDT-30R-5mm-FM to our respected clients. Our team of expert conducts various tests so that it complies with international standards. 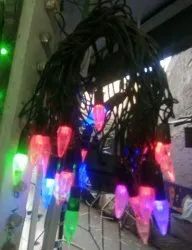 Available in red, yellow, green, blue colors and metallic body, these product have operating voltage 18V DC.